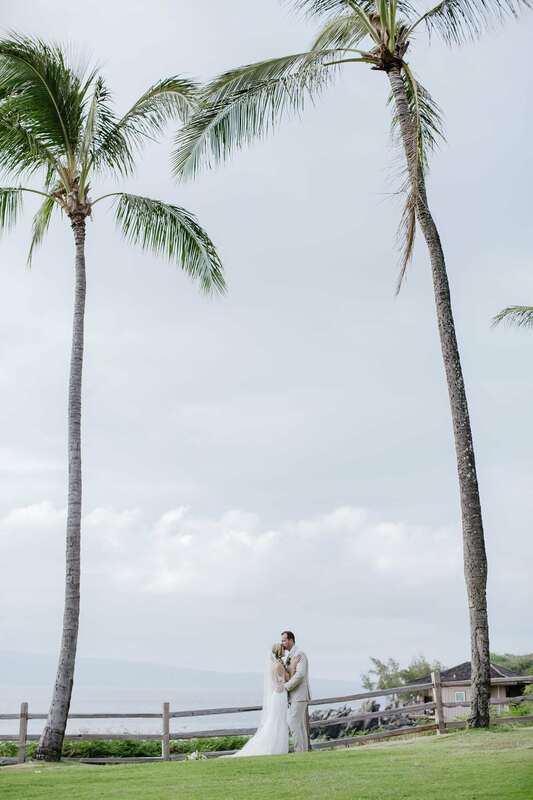 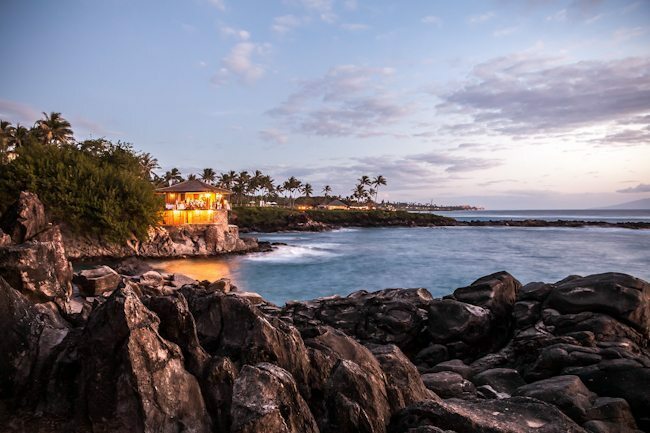 After travelling to Maui frequently together, Lindsay and Cody knew from the start that the beauty of this island would provide the perfect setting for their destination elopement. 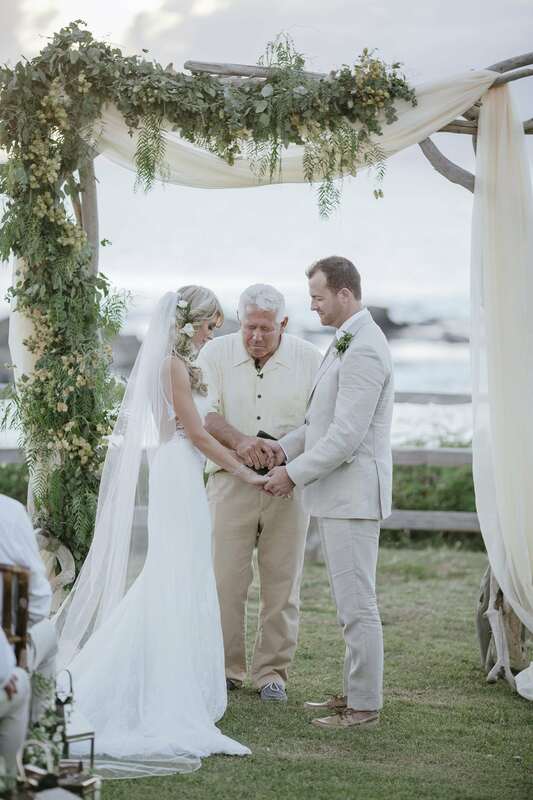 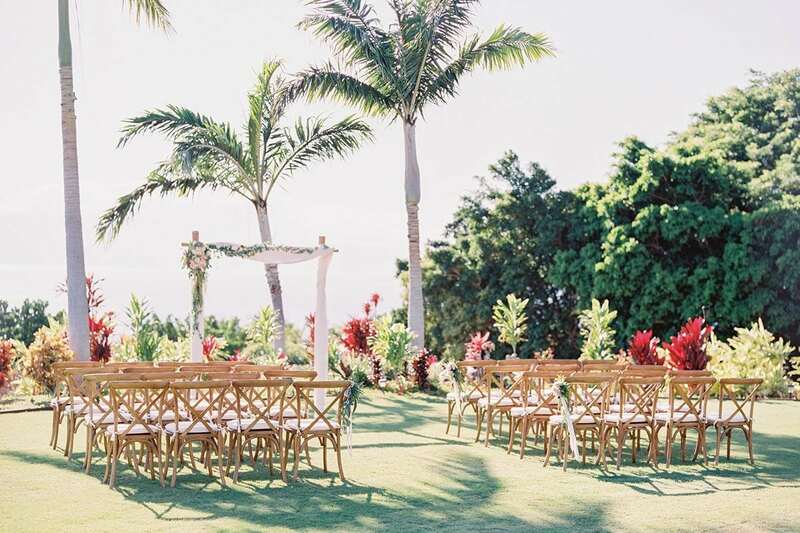 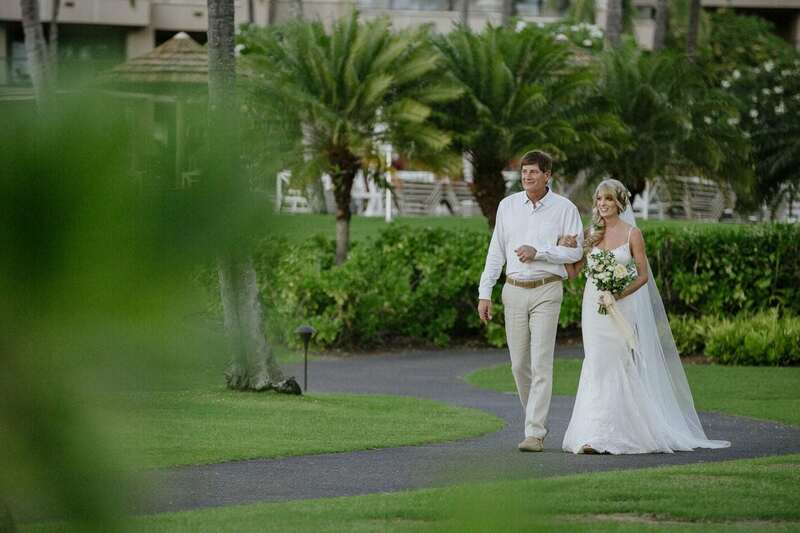 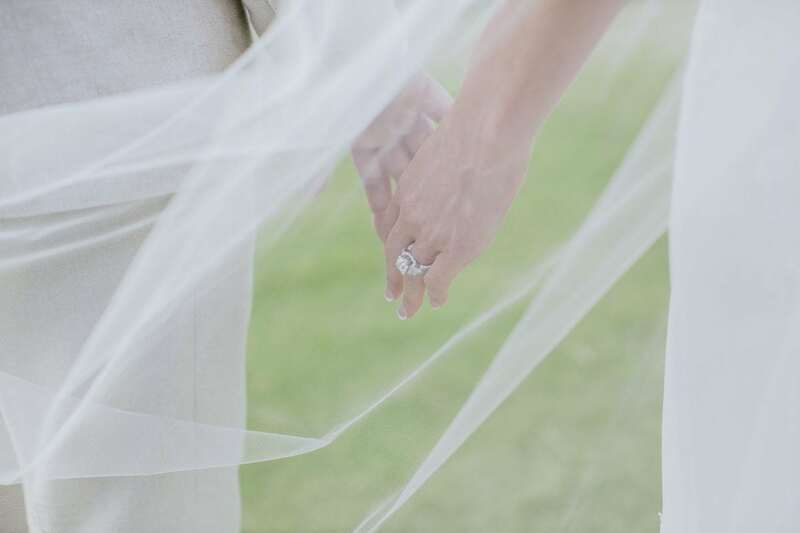 For Maui Wedding Planner, Lorrie Betsill Nielson, curating an intimate ceremony meant to share their love for one another and love for the island was a great opportunity to give them a Hawaii wedding of their dreams. 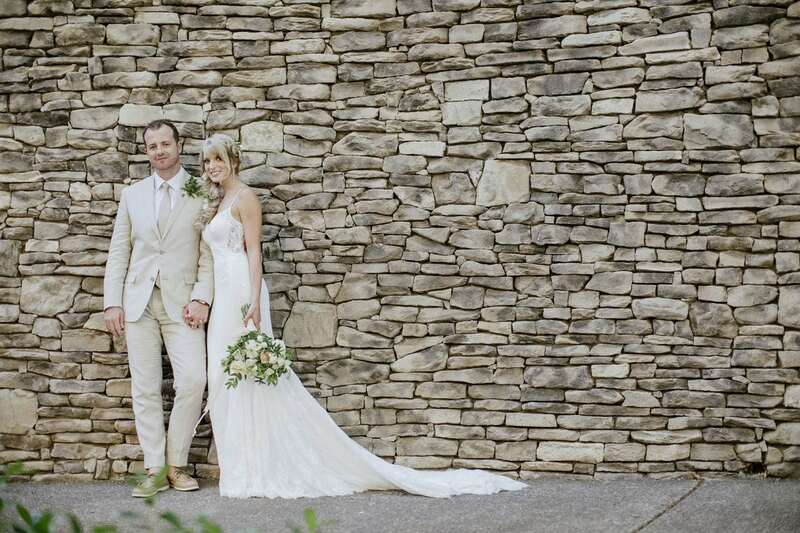 The bride and groom had different visions for their special day – Lindsay desired a very feminine design whereas Cody preferred a masculine approach. 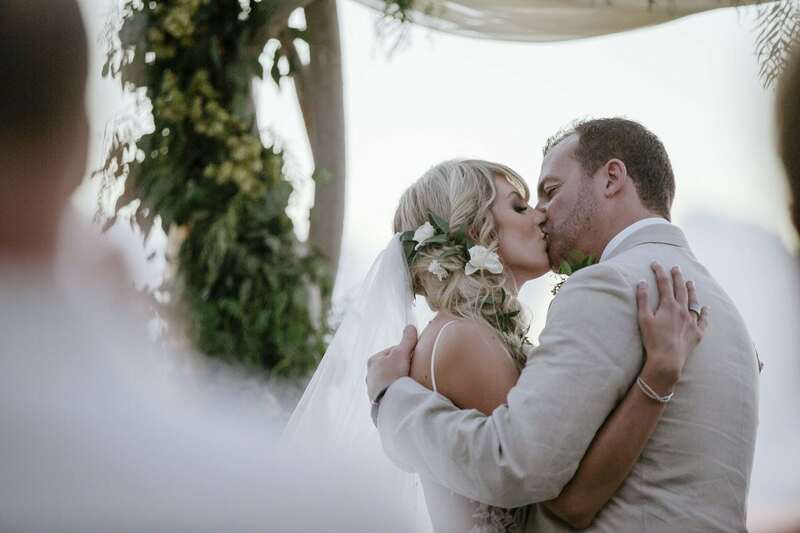 Finding a balance between the two was a challenge that Lorrie was happy to take on. 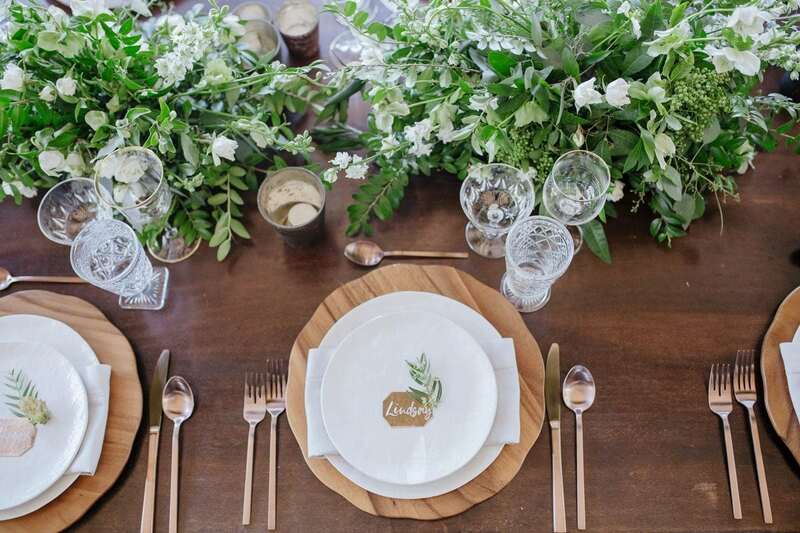 Incorporating copper plated name cards and masculine wood features, paired with soft white, light florals, etched glassware and hanging greens all took part in bringing together the reception design flawlessly. 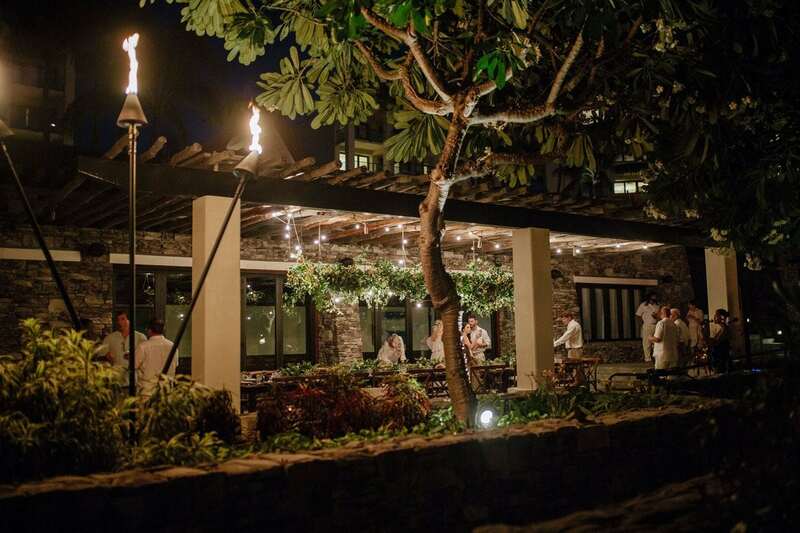 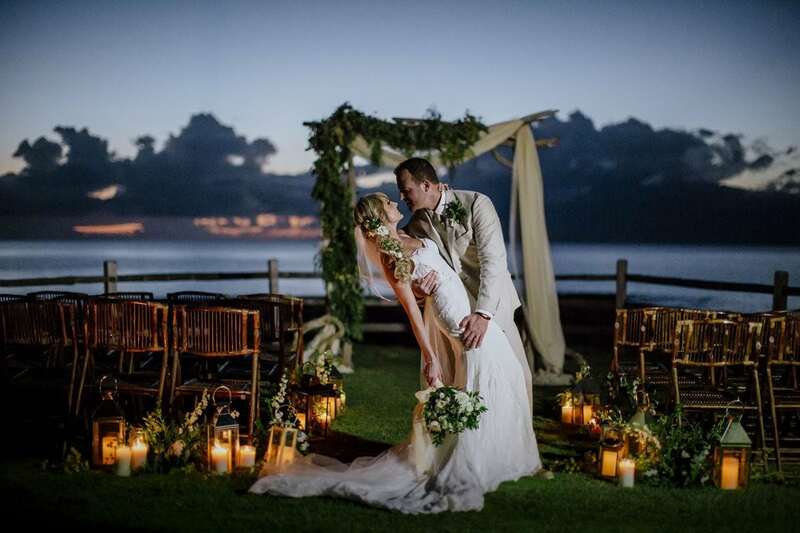 Prior to guests being treated to a luxurious island dining experience with a delicious menu crafted by The Montage Kapalua, they watched along as Cody and Lindsay shared a candle lit first dance and later were treated to a cake designed and created by Beach Bunny Bakery. 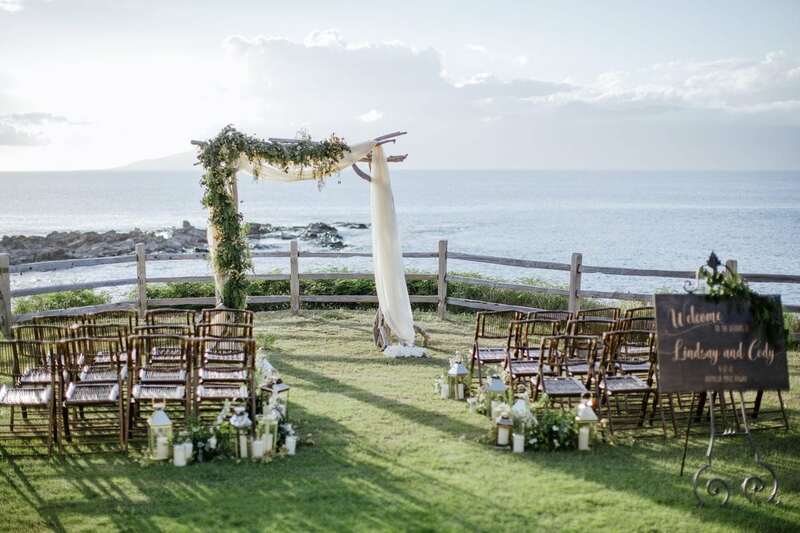 With a stunning backdrop of Maui’s sister island, Molokai, the Namalu Lawn at Kapalua Bay was just the right Maui wedding location to share their hand-written Christian vows as they stood beneath a custom driftwood arch provided by Altered Maui, adorned with flowers from local florist, Mandy Grace Designs. 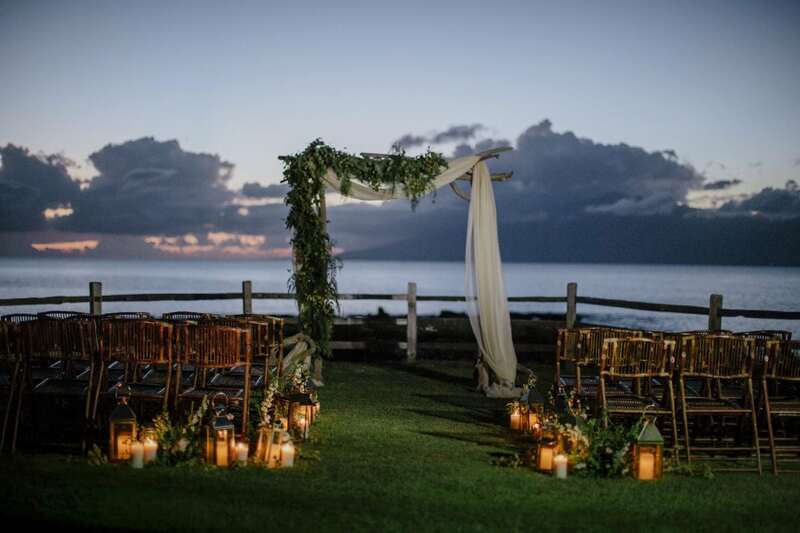 All collectively bringing together the perfect blend of rustic romance for their ethereal sunset ceremony they had been dreaming of, beautifully captured by local wedding photographer Chris J Evans.